Our conversations with the Hmong residents of Washington Park and a careful analysis of their domestic interiors complicated our understanding of home. When confronted with questions about home, the responses of the Hmong residents turned towards a discussion of their community. Home, to them, was more than a locus of their nuclear family. It was part of a larger geography that included their residence, place of work, community social space and gardens. These extended systems of settings and sites determined the broader context of the Hmong community in Washington Park. When asked to describe his home, ZongSae Vang, a Hmong refugee now working as a medical interpreter at the Hmong American Friendship Association, explained, “Hmong people do not have friends, they have family.” ZongSae Vang was quick to clarify that to him the term “family” meant more than just his wife and children. He considered his extended relatives, friends and the entire Hmong community as his family. 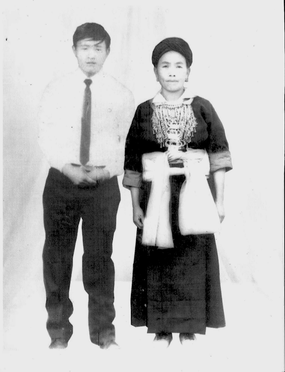 With one foot set in a tradition that values collective identities of family and community and another foot in mainstream individualistic culture, Hmong youngsters switched identities and dialects, a strategy that Zadie Smith calls “speaking in tongues.” On the one hand they felt the need to fit in with the mainstream culture as much as possible, so as to not be seen as too “fobby” or too Hmong. On the other hand, at home they learnt how to be correct sons or daughters. 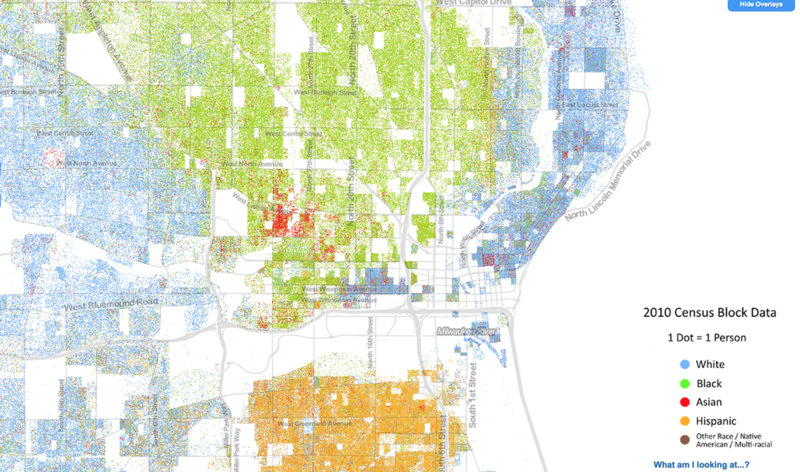 The Racial Dot Map illustrates the concentration of the Asian Population in Washington Park, Milwaukee. The introduction video by Lar Yang and Lue Vang, tells us the Hmong narrative, in part of a greater exhibition in Fresno, CA: Hmong Story 40. Chee Lor and her husband, Chue Thao. A Photo taken a few months before they were forced to flee from their villages in the mountainous regions of Laos. Figure A shows a duplex that was transformed into a single family home by re-adapting the functions of the building to suit the needs of the new habitants, in ways that were not originally intended. The first floor living room became a shrine, the dining room became an entertainment room and the kitchen turned into a communal area. The backyards and front yards became gardens and food production spaces. We found that Hmong residents switched the symbolic nature of the front and back of the building. The back alleyway became the main entrance, re-ordering the way in which privacy was experienced and practiced in the domestic setting. In another home (Figure B), many of the functions assigned to the original spaces remained but photos and ephemeral objects marked the inner spaces in less tangible ways.